easy nails are worth their weight in gold. okay, maybe not but easy nails are definitely worth it. this nail post is one of my most popular yet (thank you, Pinterest). every once in a while i find a product that i LOVE and i cannot wait to share it with you. some past favorites include Seche Vite, Make Up For Ever, and St. Tropez. with that same enthusiasm, i am excited to introduce you to Dashing Diva French Wraps. 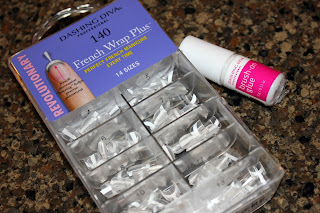 these tiny little French Manicure tips give you the perfect French Manicure, quickly and easily. my sisters are always a trusted source for beauty advice, and on my recent trip home to Washington state, my sister recommended these little beauties to me. let me say that they are so easy to apply, and they are fast, but the downside is that they only last a few days. this would make a great solution for Prom, graduation dinners, any sort of special event you may have approaching. with up to 14 manicure applications per box, $1 per manicure is a small price to pay for professional looking nails. 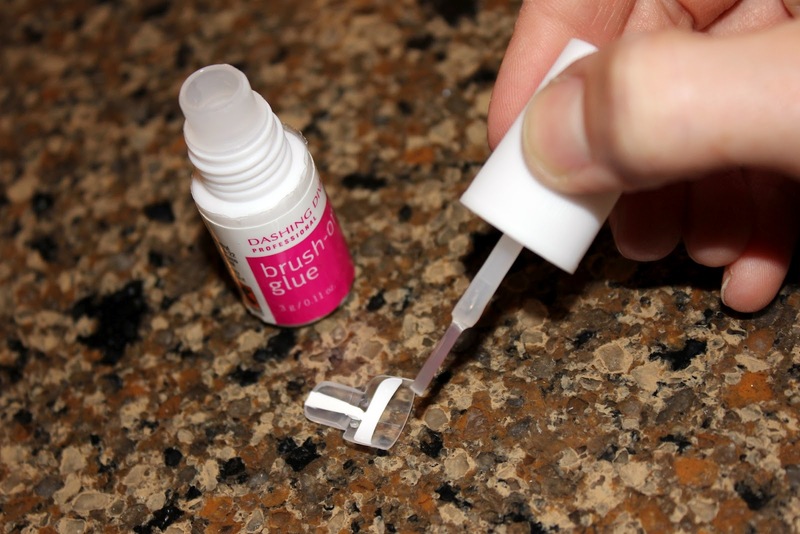 with the easy grip tab, place housing in desired spot on nail tip. wait a few seconds, then gently remove "housing" and only white nail tip remains. salon quality french manicure for a fraction of the cost! so easy, so fast, and inexpensive. those are the key ingredients to a perfect product.